Matt Barfield, CPA, PLLC - Accounting firm specializing in tax compliance and tax consulting for small to mid-sized businesses and individuals. Matt Barfield, CPA, PLLC is a professional services accounting firm specializing in tax compliance and tax consulting for small to mid-sized businesses and individuals. In addition to providing tax solutions, we strive to provide solutions to your entire accounting structure including bookkeeping services, payroll services, retirement planning, as well as, other various business and individual services. We are committed to providing quality services in a timely manner with the highest degree of integrity and professionalism. Matt Barfield, Managing Partner, is a Raleigh native and a graduate of East Carolina University School of Business with a Master of Science in Accounting. 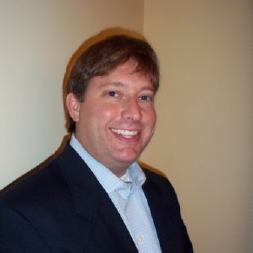 Matt started his career with Ernst & Young, LLP, one of the largest accounting firms in the world. With Ernst & Young, LLP, Matt gained extensive tax compliance and consulting expertise with large public and private corporations, as well as, the individual owners and related entities. With this knowledge, Matt started his own CPA practice in 2003. Matt is an active member of several professional organizations including the American Institute of Certified Public Accountants (AICPA), the North Carolina Association of Certified Public Accountants (NCACPA), The Downtown Raleigh Rotary Club (former Treasurer), the Greater Raleigh Chamber of Commerce, ECU Alumni Association, and the Wake County Pirate Club. In his spare time, Matt enjoys golf, working out at the gym, watching ECU and ACC football and basketball and spending time with family and friends. © Copyright Matt Barfield CPA. Website Design by Built Creative.